Isabela Island (Spanish pronunciation: [isaˈβela]) is the largest island of the Galápagos with an area of 4,640 square kilometres (1,790 sq mi), and length of 100 kilometres (62 mi) almost four times larger than Santa Cruz, the second largest of the archipelago. It was named after Queen Isabella of Spain.. It was originally named Albemarle after the Duke of Albemarle. The island strides the equator. 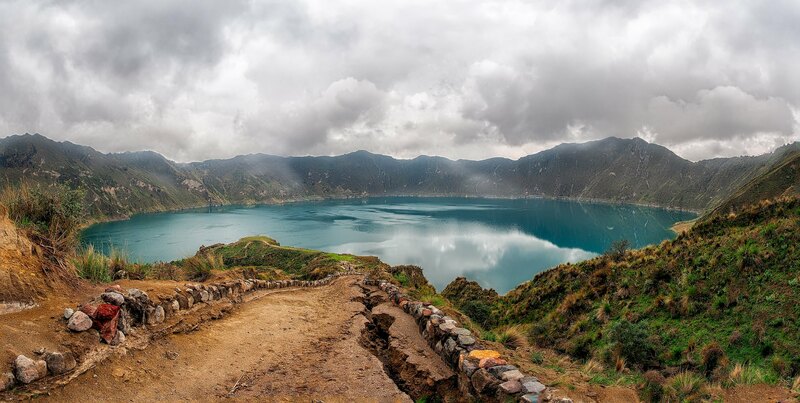 Quilotoa (Spanish pronunciation: [kiloˈto.a]) is a water-filled caldera and the most western volcano in the Ecuadorian Andes. The 3-kilometre (2 mi)-wide caldera was formed by the collapse of this dacite volcano following a catastrophic VEI-6 eruption about 800 years ago, which produced pyroclastic flows and lahars that reached the Pacific Ocean, and spread an airborne deposit of volcanic ash throughout the northern Andes. This last eruption followed a dormancy period of 14,000 years and is known as the 1280 Plinian eruption. The fourth (of seven) eruptive phase was phreatomagmatic, indicating that a Crater lake was already present at that time. The caldera has since accumulated a 250 m (820 ft) deep crater lake, which has a greenish color as a result of dissolved minerals. Fumaroles are found on the lake floor and hot springs occur on the eastern flank of the volcano. Quilotoa is a tourist site of growing popularity. The route to the "summit" (the small town of Quilotoa) is generally traveled by hired truck or bus from the town of Zumbahua 17 km to the South, or more commonly by bus from Latacunga. 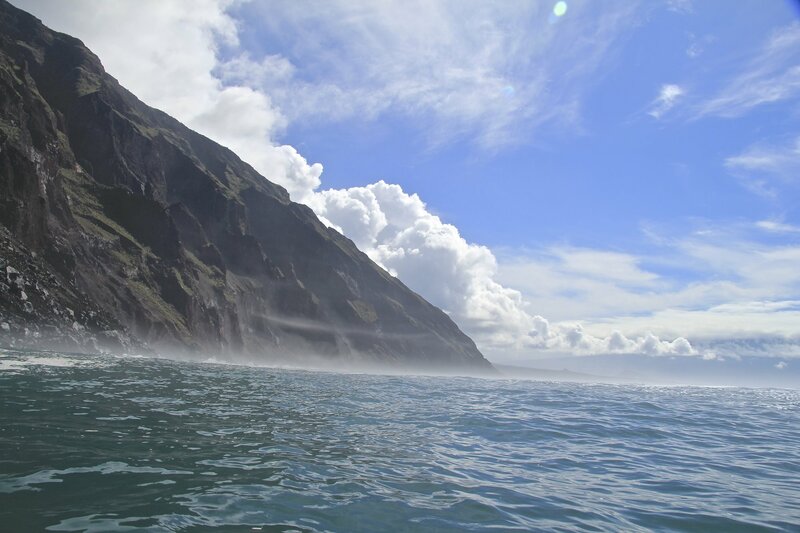 Visitors may have to pay two US dollars each to look from the lip of the caldera. There are a number of simple hostels in the immediate area offering services such as mules and guides. Activities include a four to five-hour hike around the caldera (whose diameter is just over 3 km). The caldera rim is highly irregular and reaches its maximum elevations (3810 m to the N, 3894 m to the NW and 3915 m to the SE) at three lava domes. The 10 km hike is sandy and steep in places and can be quite taxing, particularly if there is fog. It's a half-hour hike down from the viewpoint (and 1-2 hour hike back up the 280-meter vertical ascent), and very basic lodging down in its bowl. Camping is permitted at the bottom of the crater, but there is no potable water (except half-litre bottles sold at the hostel), and only a single pit toilet, located in the hostel.